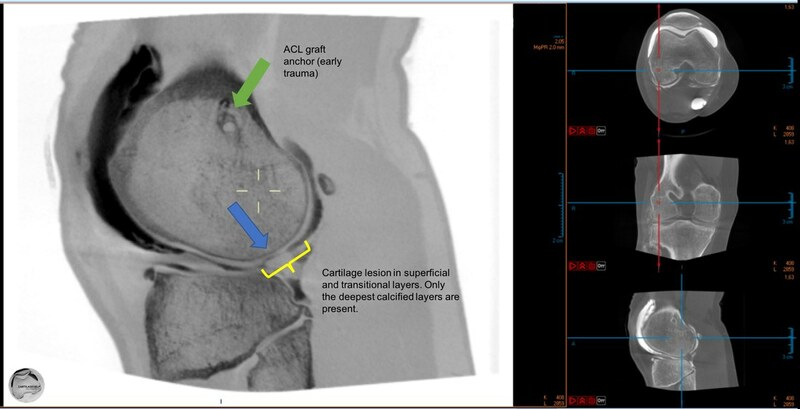 CBCT gives 3D data with no fixed or limited slice orientation. 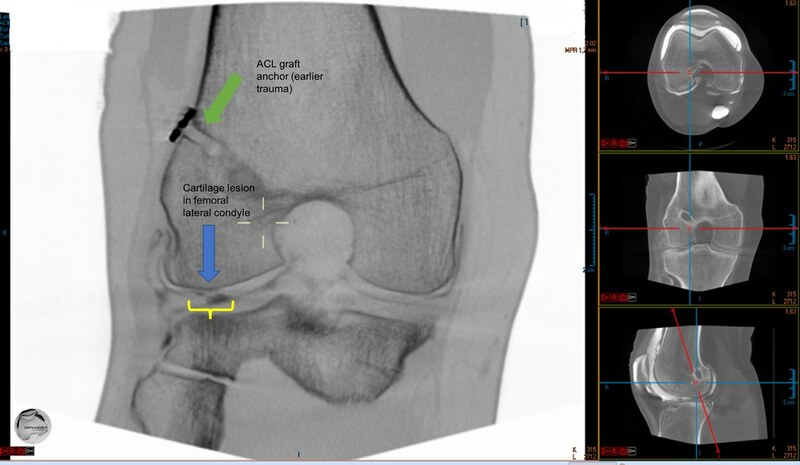 Original data covers the whole knee area as idividual cubes (voxels) with 0.2 mm dimension in any given direction. 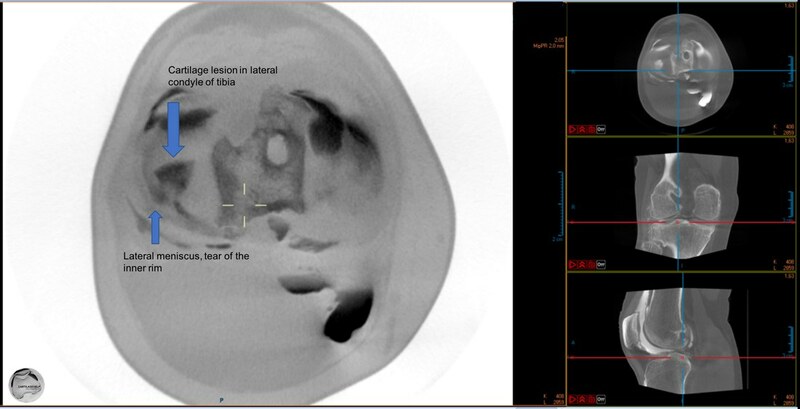 Reading of CBCT images is done either by calculating traditional slices out of this data, or as in following examples, with free angle of view. Small black images are included on right side to indicate slice orientation. 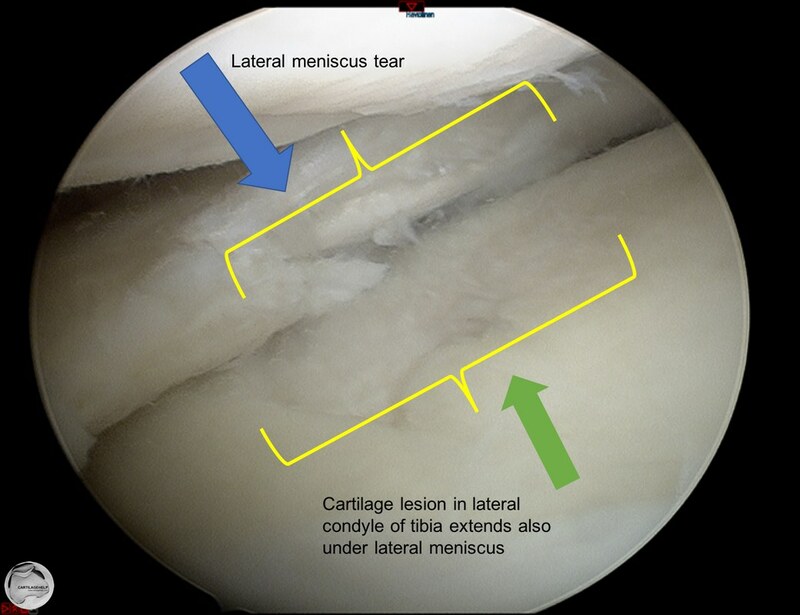 Large images have inverted color scale making cartilage and menisci white and showing contrast media as black. In most of the examples slice thickness is a clinically relevant 0.8 mm representing an average value of 4 individual voxels at each point. XY-resolution is original 0.2 mm. 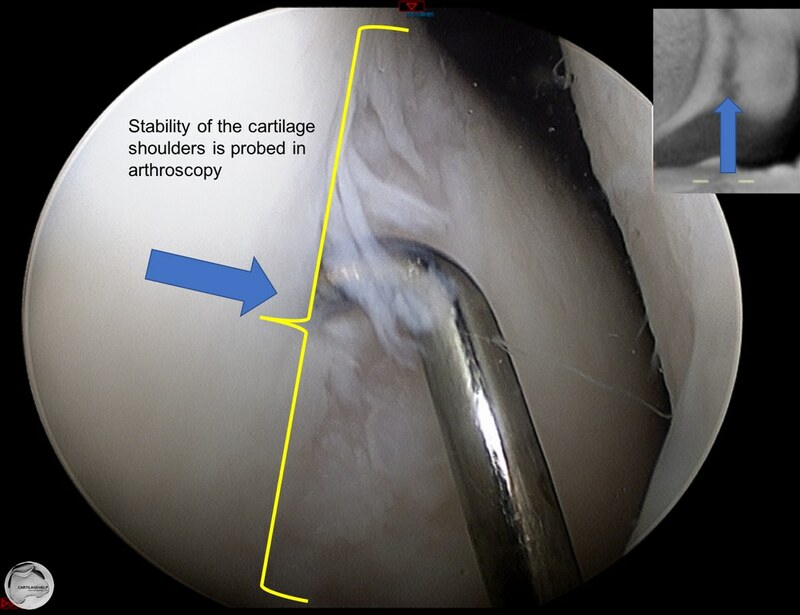 The same cartilage lesion seen in arthroscopy. 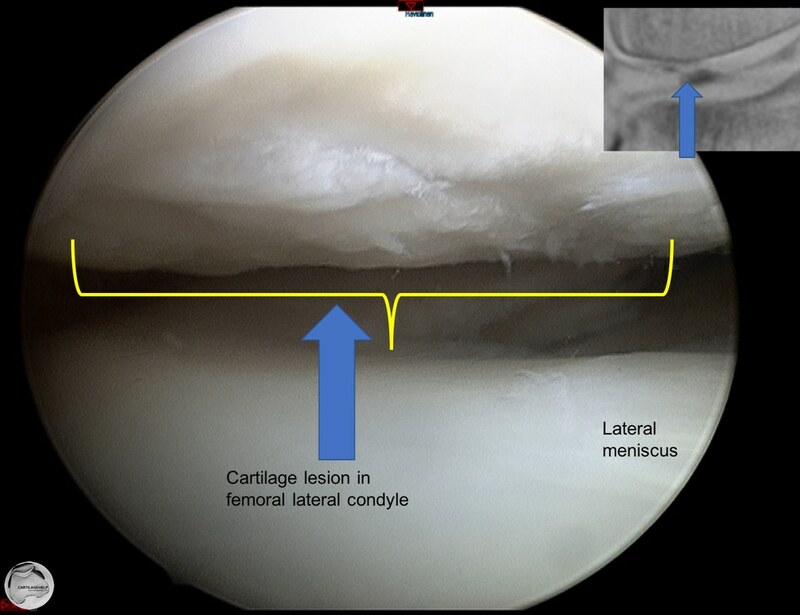 Cartilage lesion in lateral condyle of tibia. CBCT data is a cloud of 3D pixels (voxels), which can be visualised in any direction. 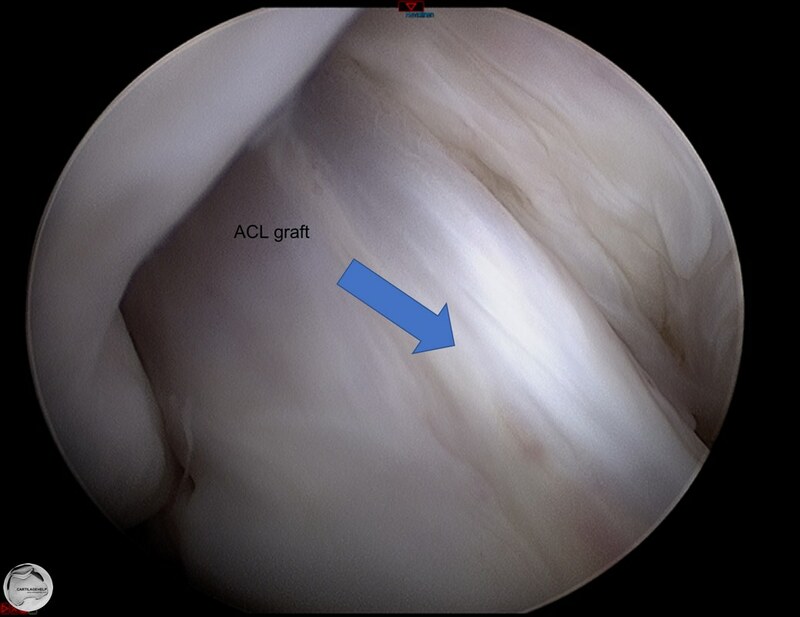 Turning the data to follow ACL graft and tunnels shows the whole graft and it's fixation. For more advanced recalculations, thicker slices and minimum or maximum intensity can be used. 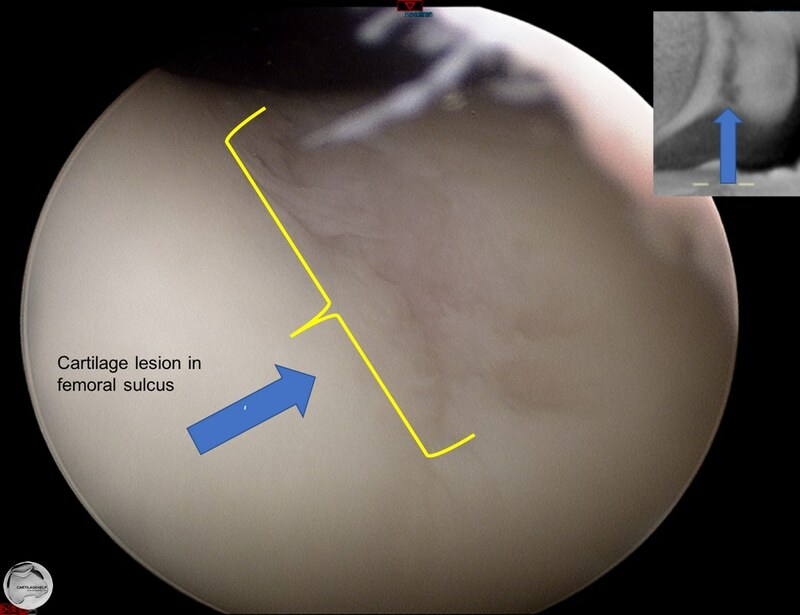 On the right hand side, a prominent plica is visualised inside the contrast media. 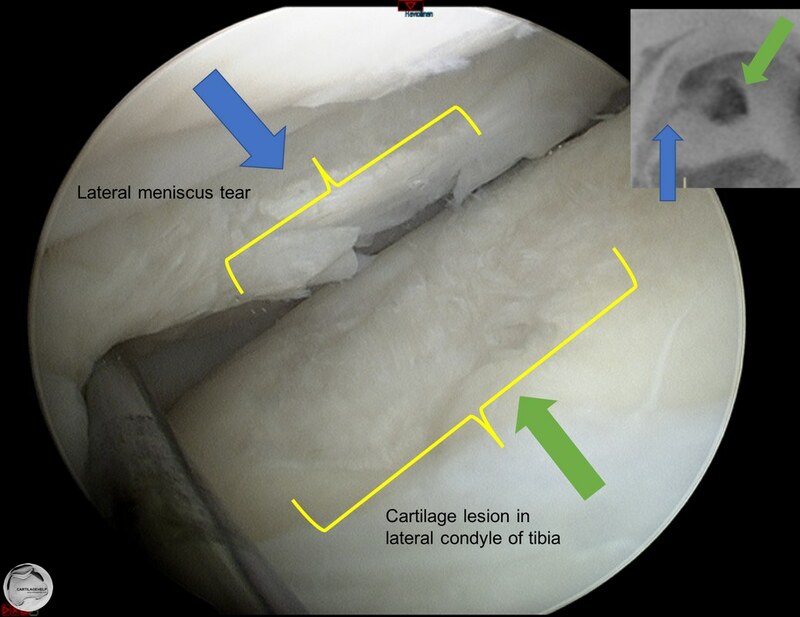 Same protocol is good in detecting scars and arthrofibrosis in joints. 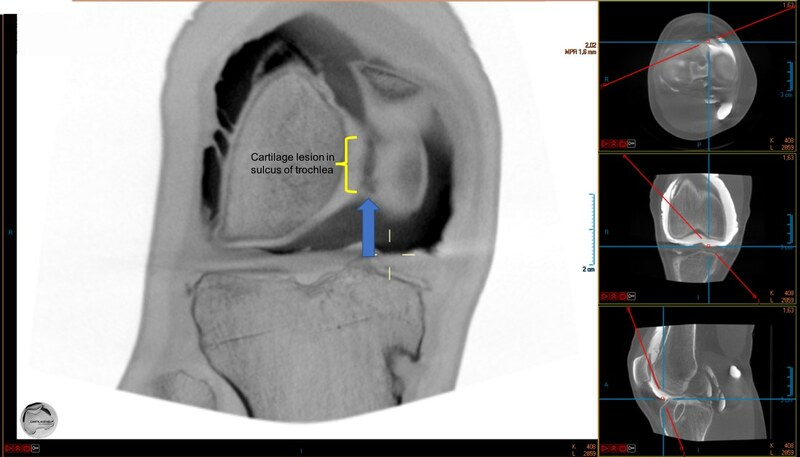 CBCT is based on X-rays. 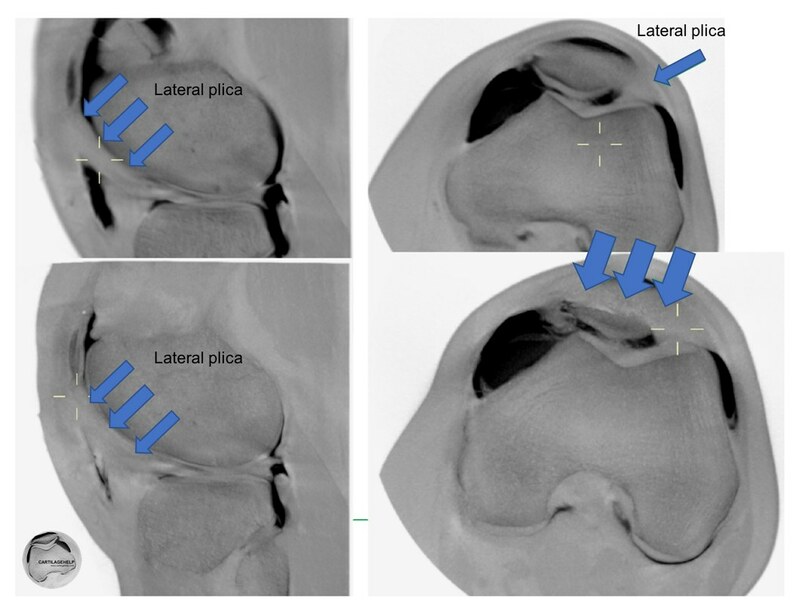 This enables measurement of subchondral bone plate and bone mineral density if external hydroxyapatite standards are included on imaging area. 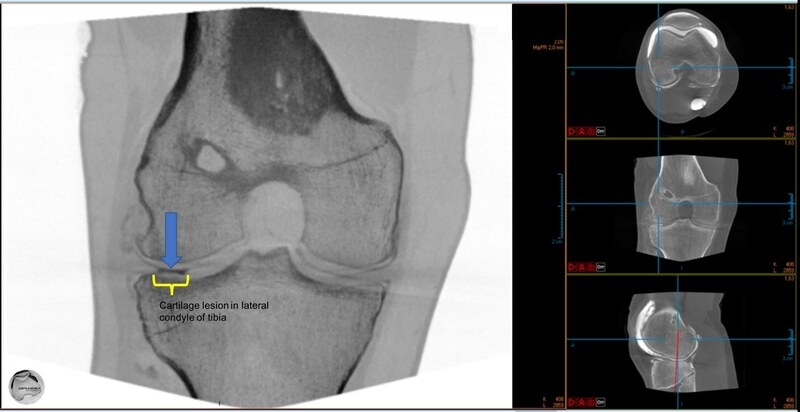 It has been shown that subchondral bone plate density correlates to ICRS OA classification.